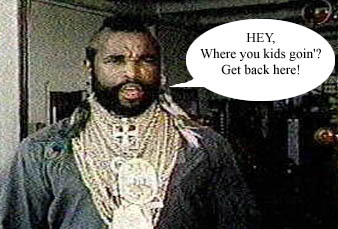 One day, Mr. T was teaching the kids about milk, when all of a sudden he's interrupted. 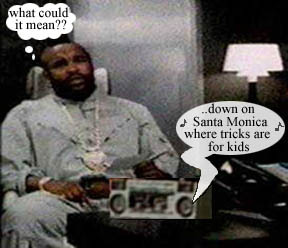 Mr.T checks out what's causing all the commotion. T doesn't like where this is heading. 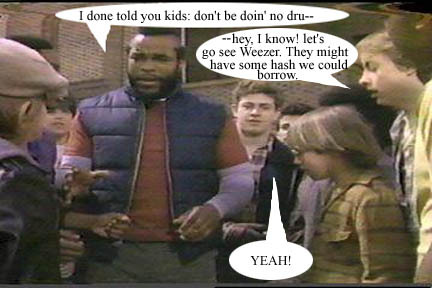 The kids are too foolish to listen, and too young to fully realize the dangers of drugs. 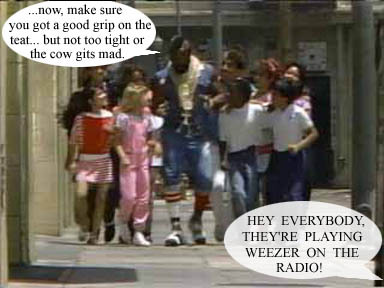 Mr. T tries to stop the kids, but they run off. 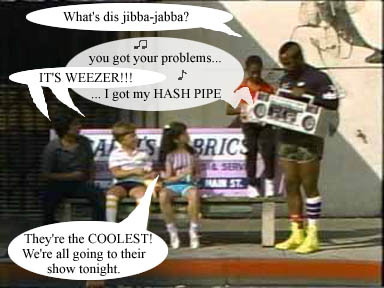 The Weezer show will begin shortly, and Mr. T knows he must not allow that to happen, or else the kids' fragile, impressionable minds will surely be warped forever. 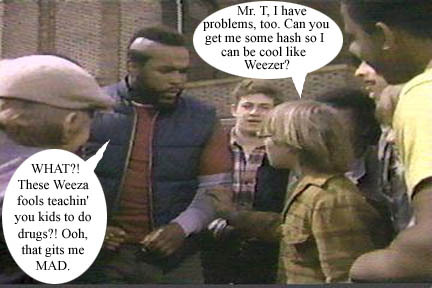 But first, T has a hunch that Weezer has much more trouble up their sleeves, so he decides to search for clues within their lyrics. 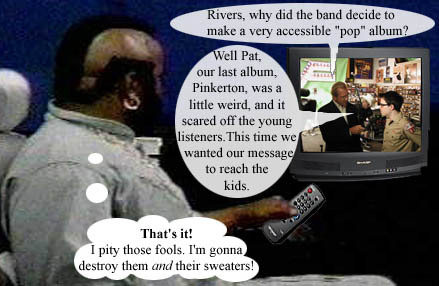 Then T turns on Access Hollywood to catch up on the buzz from his latest Conan O'Brien appearance, but instead he finds Pat O'Brien (Conan's adopted son) interviewing Weezer's frontman, Rivers Cuomo. T begins to understand the details behind the band's evil plot.